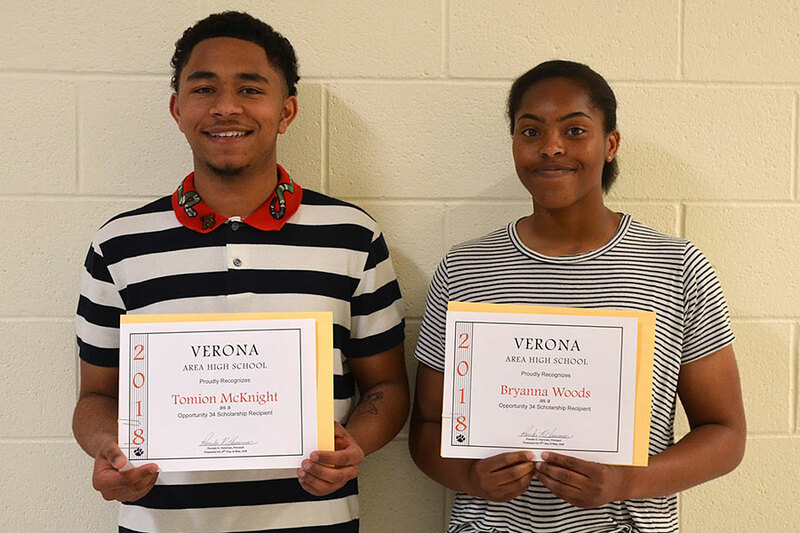 The Opportunity 34 Foundation was excited to receive handwritten notes from the 2018 scholarship recipients, Bre Woods and Tommie McKnight. Their heartfelt sentiments were greatly appreciated and confirmed the goal of this foundation was becoming reality and totally hitting the mark. Bre Woods will be attending the University of Central Florida in the fall and she intends to study Biomedical Science or Physiology. Tommie McKnight will be attending Madison College in the fall and he intends to study how to be an environmental systems technician or an electrician. 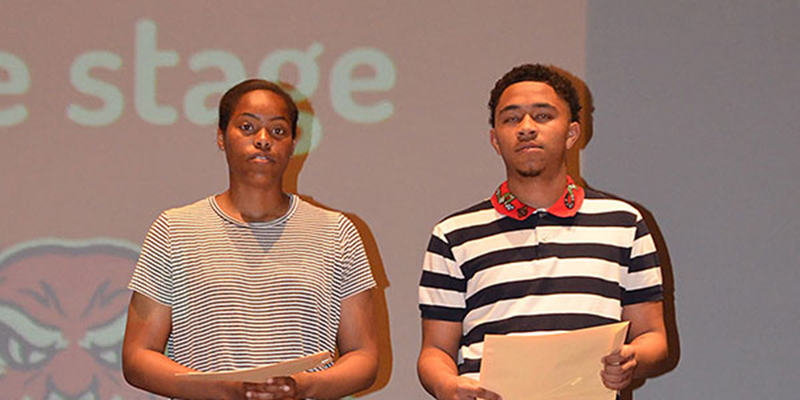 The inaugural Opportunity 34 scholarships were presented at the VAHS Senior Awards Night on Wednesday, May 9, 2018.